Stephanie has been in the field since 2005. She chose to go into the veterinary field after all of her children were in school in 2005. She enjoys every aspect of veterinary medicine, from client interaction, pet snuggling, anesthesia and dentistry. She’s been with DBVC since she was a student in 2006 and has never looked back! She is always interested in learning new things in animal care. Stephanie has 2 dogs: Albus the Aussiedoodle and Sprout the Poodesian Roodle Boodle, and a bunch of barn cats. She spends her time with her family, travelling, cooking, and gardening. She loves reading anything and everything. Rachel has been with DBVC since December 2004. She is our senior customer service representative. She has been in the veterinary industry since 2001. 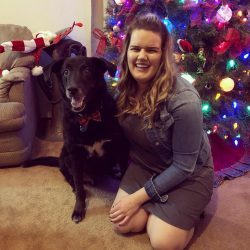 Rachel enjoys spending time with her pets Marty McFly the St. Bernard Mix, Dixie, a domestic short hair tabby, Geoffrey, a domestic medium hair cat, Mason her Chihuahua mix, and Caatriona, her Anglo-Arab horse, and Cowboy her Appaloosa. Her hobbies include reading, crochet, arts and crafts, hiking, antiquing, enjoying the outdoors, and spending time with her family. Mary has been in the veterinary field since 2000, and has been with DBVC since September of 2006. She attended UCDavis, and graduated with a BS in Animal Science in 2004. She has had many wonderful pets over the years, including the usual dogs and cats, and also a number of rats, a toad and even a crawdad. She is currently lucky enough to share her life with 3 kitties: Theo, Clark, and Olive, as well as Lucy, a Boston terrier (the resident princess) and Joey, a black and white pit bull. Mary has a special place in her heart for the pitties, and someday she would like to start her own pit bull rescue, where she can help people better understand the breed. 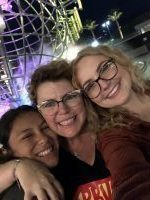 In her down time, Mary enjoys being with her family and friends, and she loves hanging out in LA with her close friends there – especially at the beach! She also enjoys playing softball, tennis and watching movies under a cozy blanket. Sarah moved to Roseville from the Bay Area in the Spring of 2014 and has been with DBVC ever since. She has been in the veterinary field since 2004, then became licensed in 2009. She knew from a young age that she wanted to work with animals and it has continued to be her passion. 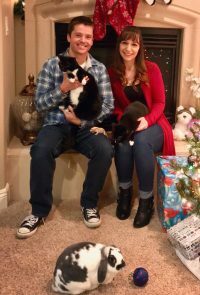 Sarah and her husband, Nick, have 2 tuxedo kitties named Shelby and ‘Cuda, bunny named Delilah, and a crested gecko – her name is Gordon. In her spare time, she enjoys traveling, hiking, and discovering knew places to go. 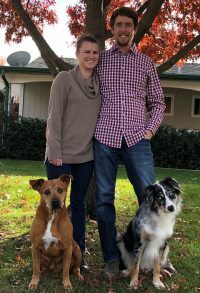 In August 2018, Caitlin and her boyfriend Tyler moved to Folsom with their 2 dogs, Daragan and Jackson. 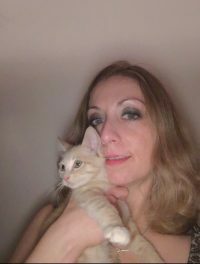 She has been in the veterinary field since 2014 and became an RVT in 2017. Caitlin and Tyler enjoy spending their free time hiking, camping and spending the summer days at the lake with their pups. 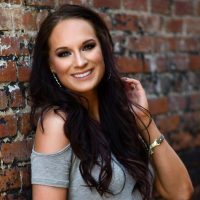 Kayla joined our team in 2016 after spending time with us as her clinical rotation site during RVT school. She is currently pursuing licensing. 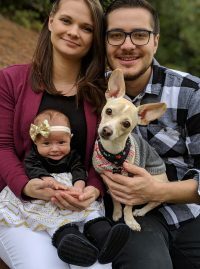 Kayla loves spending her time off with her boyfriend, Julian, her precious baby daughter, and her sweet, little Chiweenie, Levi. Elaine joined our team in 2016 as a kennel assistant and quickly moved up to customer care. She has been an avid animal lover her entire life and DBVC has been a perfect fit for her passion. Elaine enjoys spending time with her incredibly handsome kitty, Clyde. 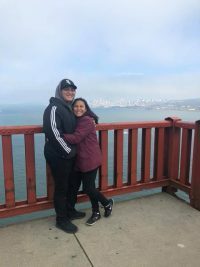 When not snuggling with her furbaby, Elaine enjoys travelling abroad, going to the movies and spending time with her family. Amber came to DBVC in December of 2014. She was looking for a career in animal care. 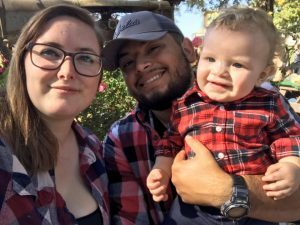 Amber and her husband Juan love spending time with their sons Jaxson and Lucas. They also have 3 dogs (Wyatt, Thor, and Daisy) chickens, fish and a cat named Gremlin. Amber loves to be outside playing with all her kids, including her furry ones too! 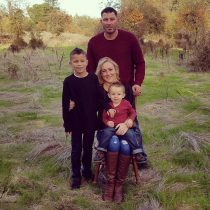 On her off time Amber and her husband love to start DIY projects with pallets and travel when they get the chance. Kodie and her husband, TC moved here in September of 2018 from Michigan. She and her husband have been enjoying life here on the West Coast. Kodie, originally from Florida, has been loving Northern California! In her free time she enjoys doing anything outdoors or relaxing at home watching cat vidoes on her phone. 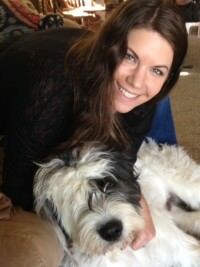 Kodie has a love and passion for people and their pets and dedicates her time to give patients the best care possible. Wendy joined DBVC in Fall of 2017. She loves the opportunity to snuggle with all the furry patients! She is currently studying at Sierra College. In her free time, she enjoys spending time with her boyfriend, Jonathan, her friends and family.